Ask a woman who cares about her hair, if she would prefer combination hair products ie:shampoo/conditioner ... or 3 separate products that do 3 very specific jobs. Of the women I spoke to, the 3 separate products was the overwhelming winner. In fairness, 2 or 3 said they would prefer the all-in-ones but they also admitted they weren't too concerned about the results either. I learnt a lot from this insight, and went to work and created 3 very specific products that were the absolute BEST at doing 3 very specific jobs. 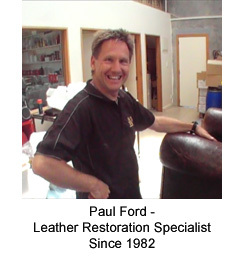 My focus was on care products I could use in my own work and for people serious about caring for their leather and want the best results. This pH neutral leather cleaner easily removes dirt, grime and soiling without harming the leather in any way. 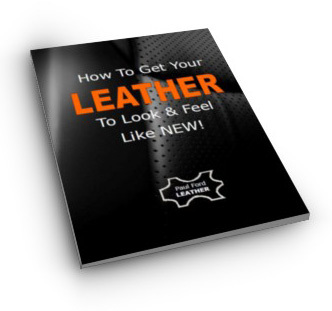 The conditioner penetrates into the leather a replaces the lost oils and moisture content. It contains the exact same oils used to process new leather in the tanneries. The protector leaves an invisible film of waxes and other modifiers to seal in the moisture, improve abrasion resistance and inhibit further dirt and soiling from reaching the leather finish. It also leaves a warm, slightly waxy, natural feel. Bear in mind, the protector is not a permanent film ... it's sacrificial and the leather cleaner will easily clean it off ... with the soiling attached to it. So, whenever you clean your leather, simple reapply the protector and you're all set for the next round of attacks! Now, just so you know ...these are the exact same care products I use in my workshop for professional work. You'll find more info on the products page.